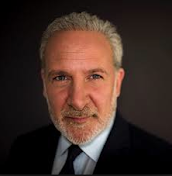 Some of the highlights from the Peter Schiff Podcast, ep. 402. "The Russell 2000 is actually down about 14 percent from its highs so it's now officially in a correction." "To me this looked like a classic reversal Tuesday type of rally, one of the reversal Tuesday's where you gap way down and then just rally throughout the day The rally did not produce a positive close so it was not a technically significant rally. In fact, I think the downtrend is intact. To me, it looked like a lot of short-covering was going." "If you look at the financials for example all those stocks continued to go down closing in the red rallied off the lows but no substantial rallies."